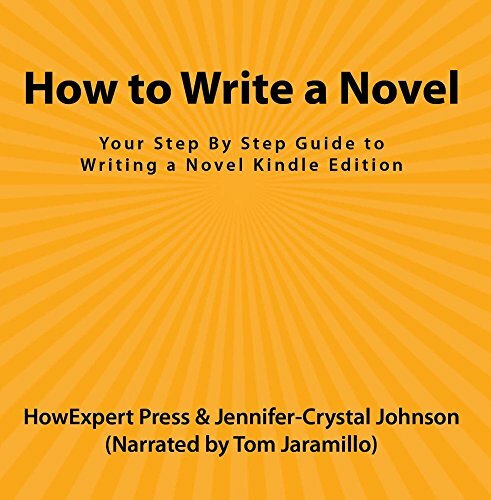 If you have fashion in writing and you want to learn "How To Write a Novel" then get a copy of this guide. • The writing process is a little bit different from one person to the next, but fundamentally, it’s very similar. When someone sits down to write, there tends to be an awkward “uninspired” moment in the beginning, when you begin to get over the doubt and the thoughts of not knowing what to say and then jump into it anyway. Usually once you’ve gotten a few sentences out – sometimes a paragraph or two – you suddenly slip into, "the zone:" that inspired and motivated place where the work comes out effortlessly and you can just keep going for pages and pages. • This book isn't about telling you how to write or making assumptions that everyone goes through the same process. Quite the contrary - I'd like to point out right now that not every writer will follow a process. Some follow no process at all. I'm here to simply share some things that work for me and help me to keep my ideas and thoughts organized so the stories make sense. There are a number of ways to do that, and I'll cover some of my favorites in this eBook. • Most people write for themselves, and many people don’t necessarily publish a book. But those who want to write a novel and are intimidated by the idea are the people I’m writing this book for. •One of the questions I ask myself the most is, “Why is it so hard to stay inspired” Maybe you get stuck on a part of the book or the thought of 90,000 words scares you. Either way, there are some little tricks and activities you can do in order to maintain a steady focus and inspiration. • For some reason, people have this misconception of authors and writers, that writers just sit down, type up a perfect manuscript the first time around, and then sit back and relax as the royalties roll in. In reality, writers brainstorm, take notes, make outlines, do research either in person or online - or at libraries, verify information, ask questions, and have to have the ability to remove chunks of their work from their document if it's excessive. • And with no boss looking over your shoulder to be accountable to, an author has to be accountable to him or herself, not to mention be a self-starter. • It takes discipline and patience, not to mention determination, but if you’re serious about writing a novel, then keep reading!